Attention members: This area is dedicated to events of interest for the RC-26 people, please let us know by the e-mail rc-26 @isa-rc26.org if you want to have your event posted in here. Election of the ISA officers for the period Fall 2014 – Summer 2018 will take place and we are pleased that a RC26 member and president, Prof. George Tsobanoglou, is a candidate. You may search for particular presentations by typing key words, an author’s name, or the title, more here. International conference “The Crisis in EU and USA” (Pisa, 12-13-14 June). ISA is asking members to post dissertation abstracts (in English), together with a small amount of information about yourselves, at our newly created webpage http://www.isa-sociology.org/abstracts-dissertations/ It can also be found on the main page of the ISA http://www.isa-sociology.org/ under the tab Junior Sociologists. www.sgs-kongress2013.unibe.ch and in the 130516_Flyer_Englisch. Applications to hold workshops from April to July 2013 are welcome. Modern, full-equipped meeting rooms of various sizes, accommodation, free bus service from/to the nearest airport, total logistical and planning support. The deadline for nominations for the ISA’s major new award for Excellence in Research and Practice. Hamburg, Germany, see details here. 42 West 44 Street, New York, N.Y.
2006 ISA World Congress of Sociology in Durban, South Africa, 23-29 July 2006. The Quality of Social Existence in a Globalising World. Research Committee on Sociotechnics – Sociological Practice RC26. Joachim K.H.W. Schmidt, presently living in Berlin/FRG. Study of Law, Philosophy, and Sociology at Munich/Fribourg/ Goettingen/Cologne; Research stays in USA at Center for Ecumenical and Cultural Research/MN as well as UCB/CA (Survey Research Center / Center for Law & Society); specialized in the field on Sociotechnics; management of ISA RC 26 on Sociotechnics for ca. 20 years as Secretary and Newsletter editor, co-founder, still active as Board Member, presently serving as Vice-President. Society of Empirical Jurisprudence and Architecture of Society; accredited Commissioner for Justice and Social Relations, OIJD/OIJD. My special focus is the substitution of 2500 years old traditioned Greek analogical Thought of Being by Third Millenium digital Thinking in Relations (paradigm shift) in various academic disciplines; replacement of homo oeconomicus by homo communicans, corporatismus by co-operativismus. legal positivism by practizing free-law, as well as present state oriented Keynesian main stream economics by an economics based on autonomous humans: in general: institutional renewal of decaying Western societies. Publications within the realm of an information based General Theory of Design. Posted in Uncategorized | Comments Off on Attention RC26 Members! Facing an Unequal World: Challenges for a Global Sociology | Yokohama, Japan | July 13-19, 2014. Denis, Ann, e Devorah Kalekin-Fishman, orgs. The ISA Handbook in Contemporary Sociology. SAGE Publications Ltd, 2009. Tsobanoglou, G. (Ed.) 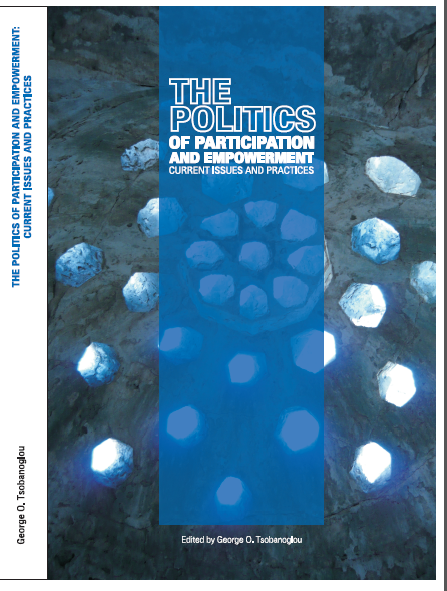 The Politics of Participation and Empowerment: Current Issues and Practices, Verlag fur Gesellschaftsarchitektur, GmbH,. Hildesheim, Germany, 2012. Sandberg, A. (Editor) Nordic Lights: work, management and welfare in Scandinavia. SNS Forlag, 2013. Urry, John. 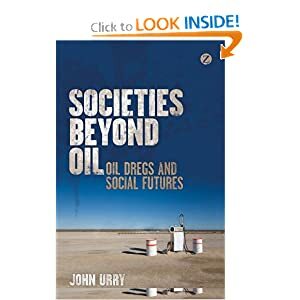 Societies beyond Oil: Oil Dregs and Social Futures. Zed Books, 2013. Carayannis, E.G., e G.M. Korres, (orgs.) European Socio-economic Integration Challenges, Opportunities and Lessons Learned. Springer Verlag, 2013. Markham, William T. Environmental Organizations in Modern Germany: Hardy Survivors in the Twentieth Century and Beyond. Berghahn Books, 2008. Nasioulas, Ioannis. Greek Social Economy Revisited: Voluntary, Civic and Cooperative Challenges in the 21st Century. Lang, Peter, Gmbh, Internationaler Verlag Der, 2012. For downloading the article” Greek Social Economy at Crossroads: Law 4019/2011 and the institutionalization challenge” by Ioannis Nasioulas, click here. Tsobanoglou, Georgios. Divisions of Greece: The organizational impact of labor policies during the period of 1949-1981. Lap Lambert Academic Publishing, 2011. Tsobanoglou George. Women Livelihoods and Socio Economic Growth: Emerging Development Alternatives. The Women Press, 2011. Samuel, Yitzhak. 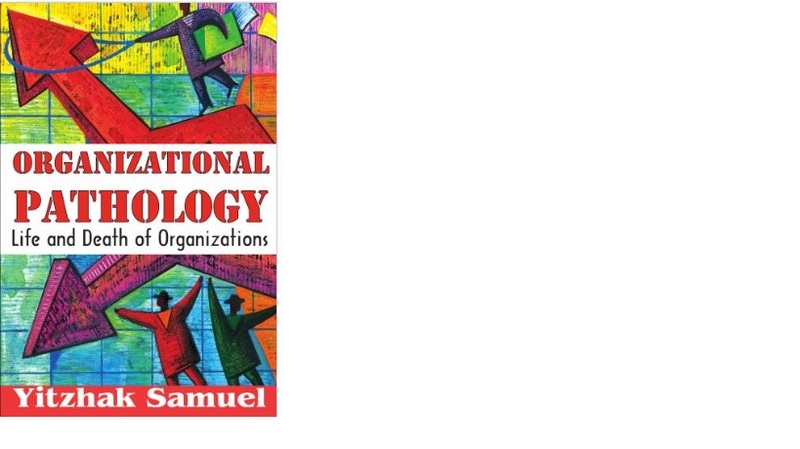 Organizational Pathology: Life and Death of Organizations. New Brunswick, N.J: Transaction Publishers, 2012. Oñati Socio-Legal Series, Vol. 2, n. 6 (2012): Diferencias Invisibles: Género, Drogas y Políticas Públicas. El enfoque de género en las políticas europeas de drogas. Newsletter published in 14 languages is the venue for debates, reports on conferences, state of different sociologies, interviews, and more. 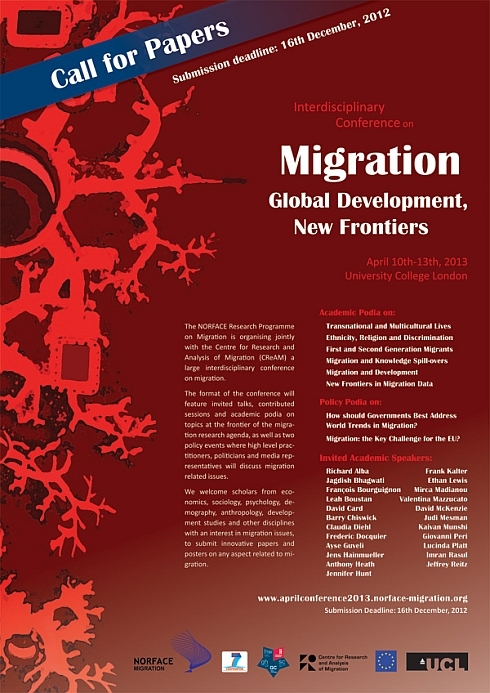 An experimental global course in which distinguished sociologists tell of their engagements with publics. Videos of weekly conversations are posted here. Interviews with members of the ISA Executive Committee. Blog of the ISA that reports on universities in crisis, aiming to build global communities of concerned academics. Videos and Films of the everyday life of sociologists.